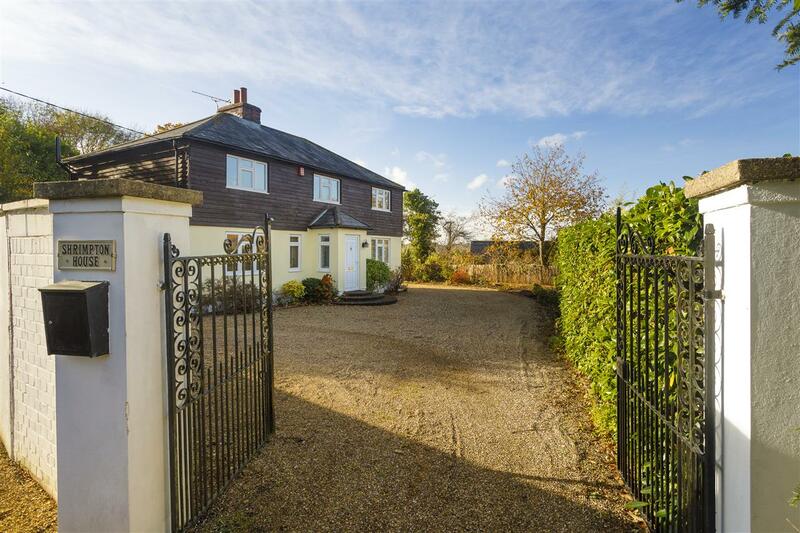 Shrimpton House is an impressive detached period property, (originally two farm workers cottages), nestling within a gated and highly secluded third of an acre plot. 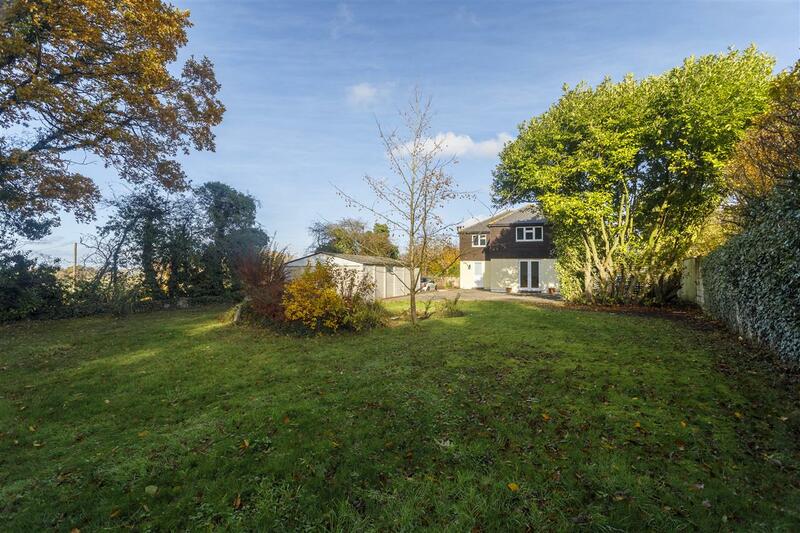 Backing on to woodland, and having fine views across open farmland to the west, its situation is rural without being isolated. 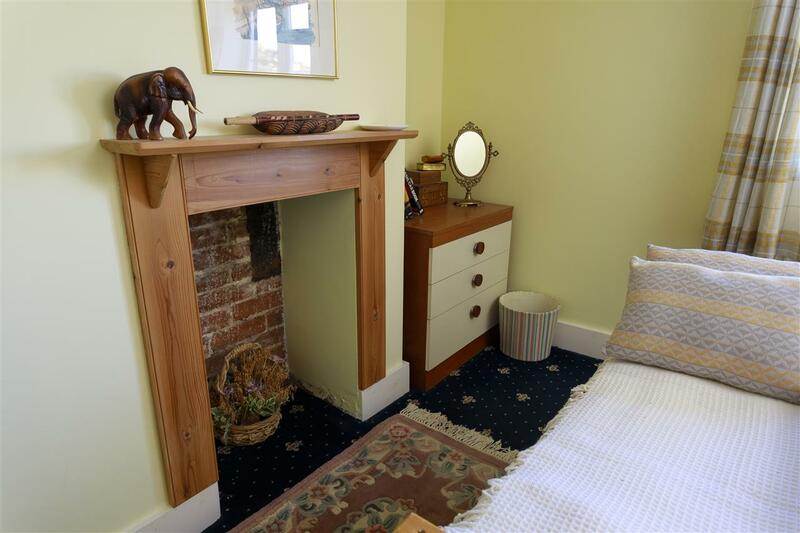 Built in the 1860's, it has been significantly extended more recently and now offers generous, well planned accommodation across two floors. 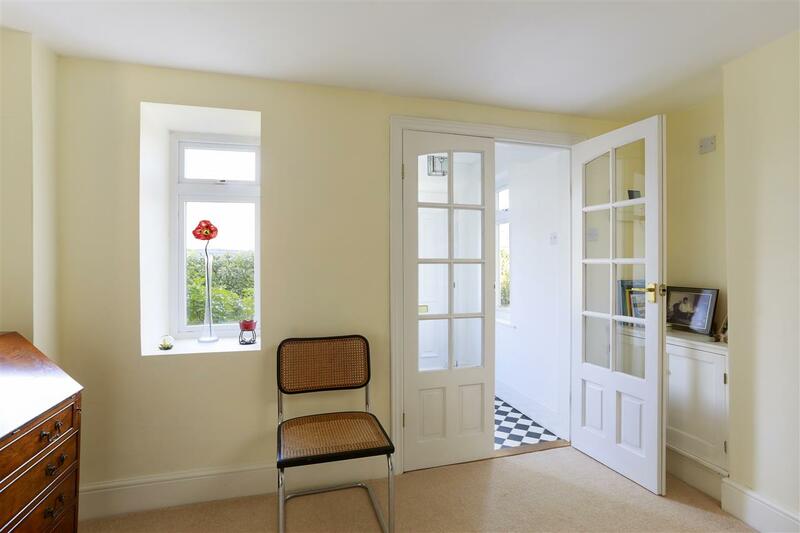 The enclosed porch has windows on either side, a black and white tiled floor and part glazed double doors which lead into the dining room. 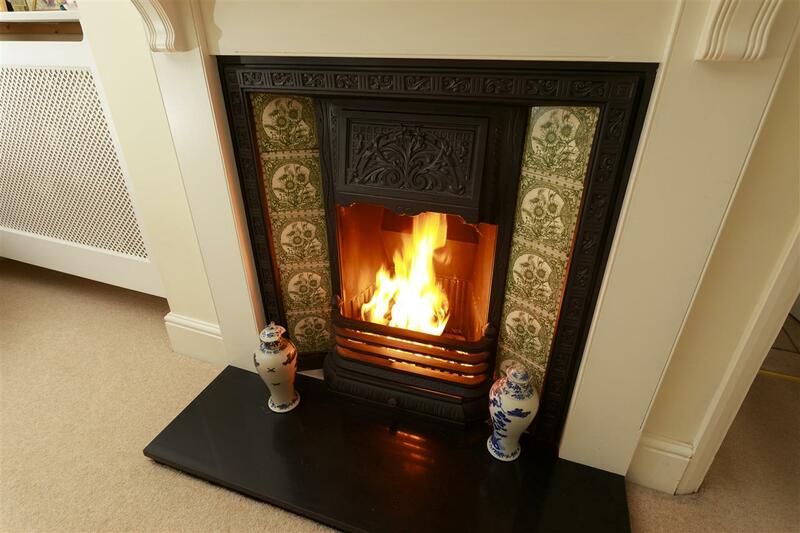 Here there is a pretty cast iron Victorian fireplace with a wood and tiled surround, a wooden mantle and a stone hearth. 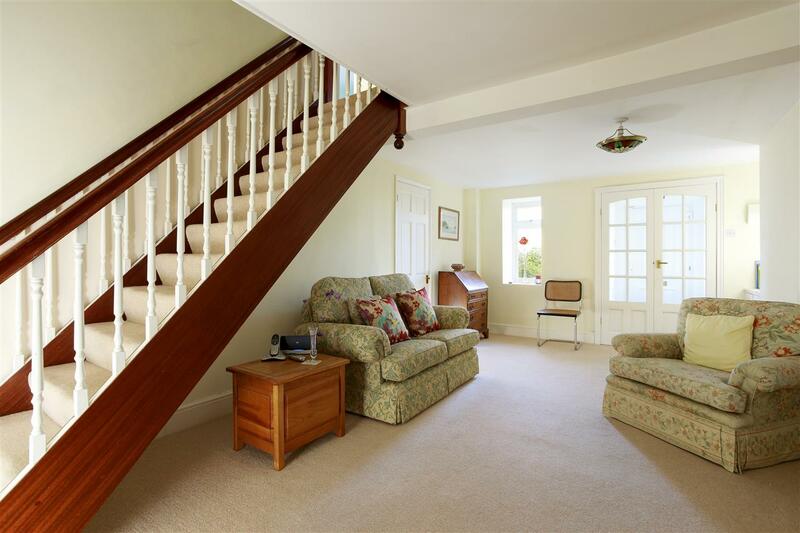 There are stairs to the first floor and doors to the kitchen/breakfast room, sitting room and a further door to an inner lobby which gives access to the ground floor utility room/WC and the generous size study. 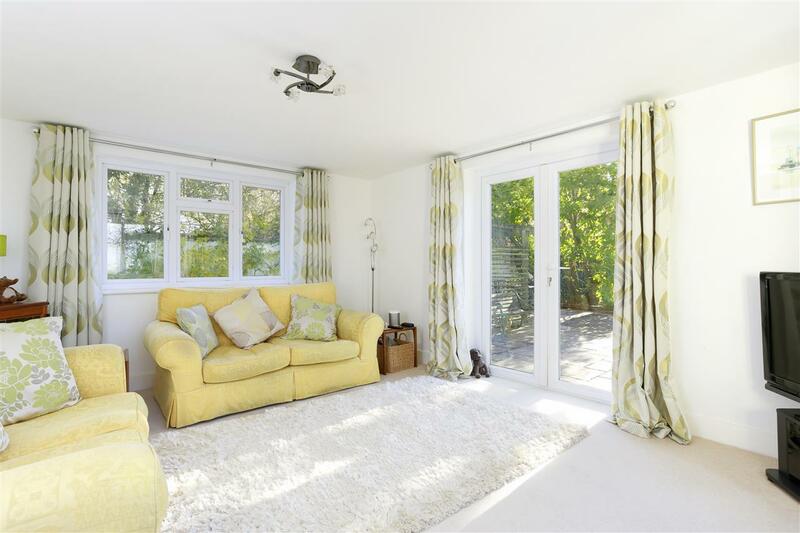 The bright and airy sitting room has windows on two sides and patio doors overlooking the fabulous rear garden. 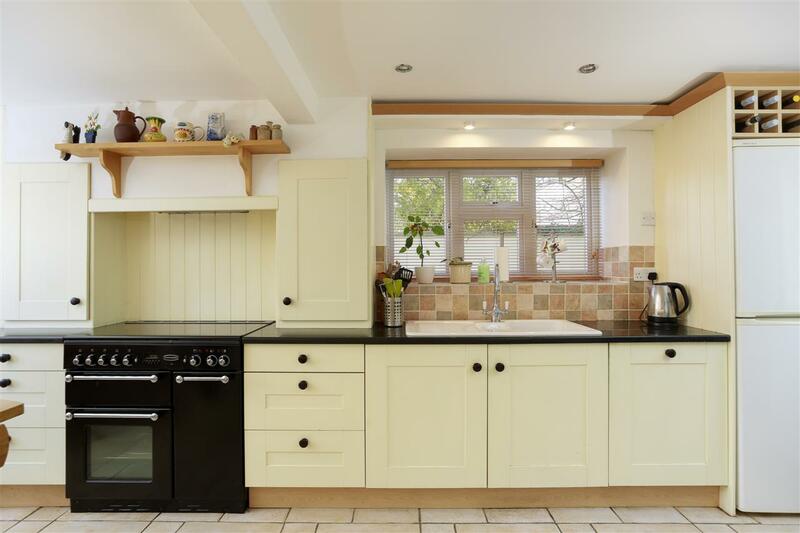 The rustic and charming kitchen/dining room has an attractive ceramic tiled floor, and includes ample storage within a range of farmhouse style wall and base units set around work surfaces. 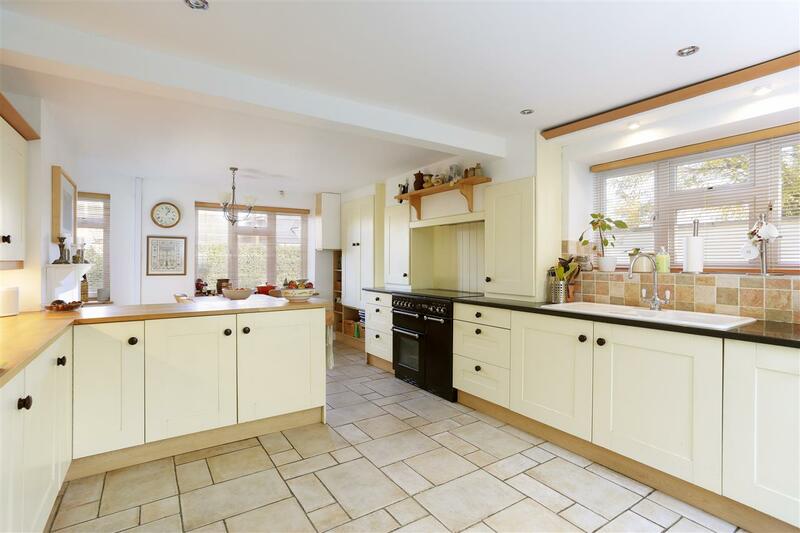 There is a white enamel sink and a Rangemaster cooker with extractor hood above. 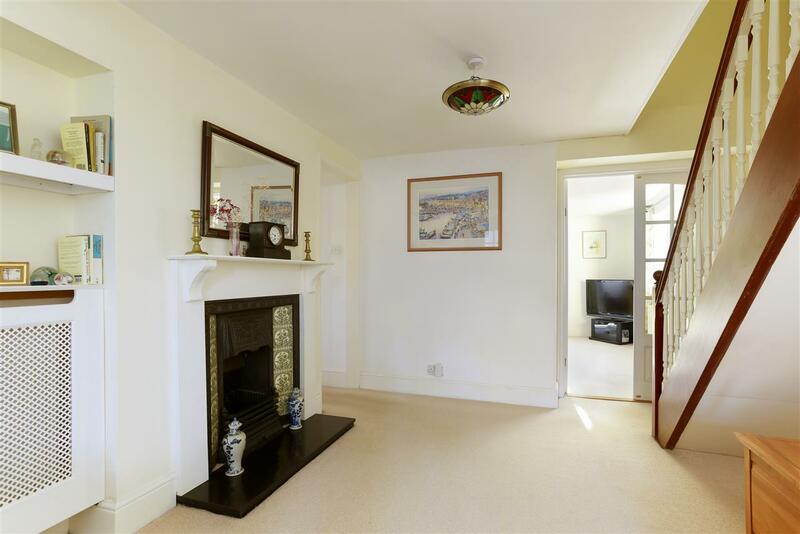 The dining area at one end has a lovely fireplace with a wood surround and mantel, providing a welcome focal point. 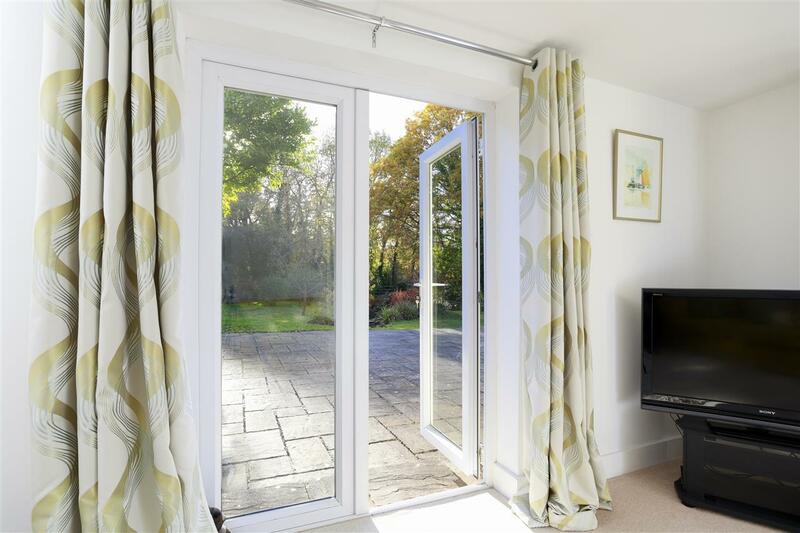 There is a door which leads to the rear garden. 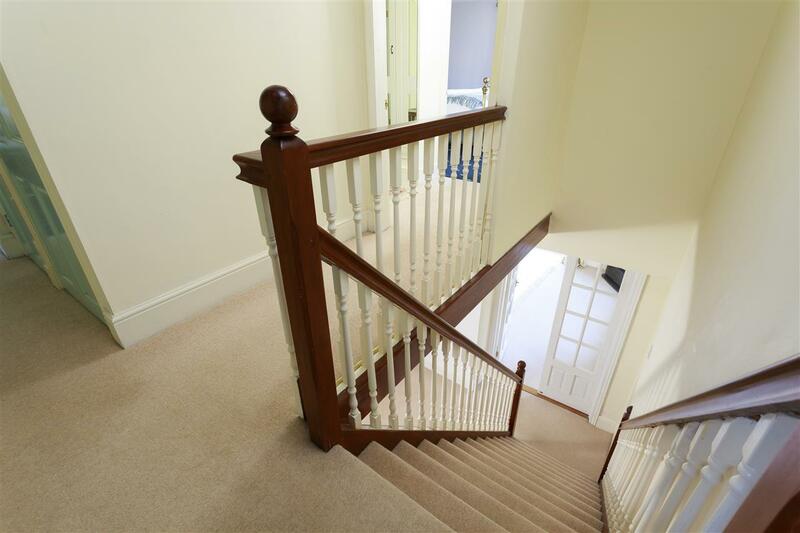 Upstairs, the galleried landing provides access to the master suite, the three other bedrooms and the family bathroom. 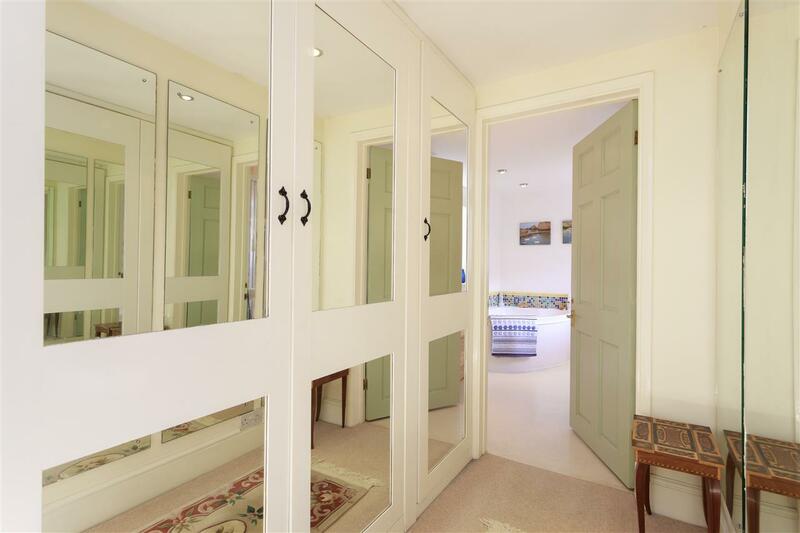 Upon entering the master suite, there is a dressing area with fitted wardrobes on one side and full length mirrors on the other. 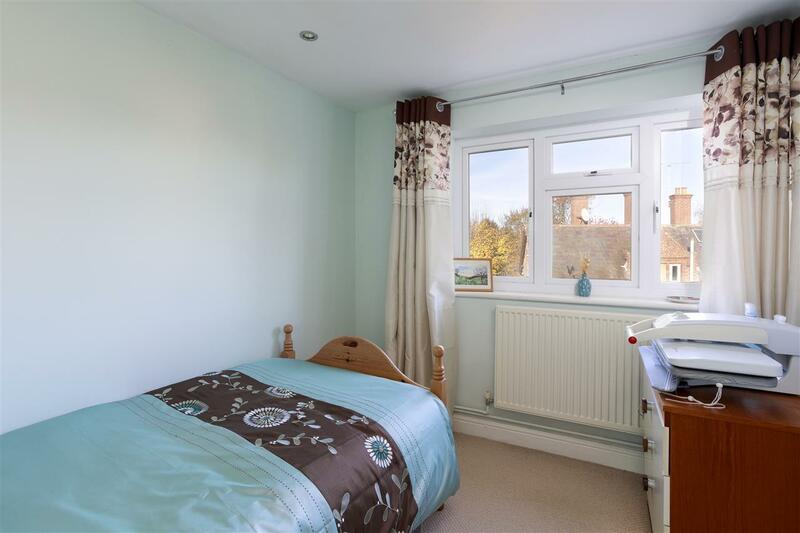 The generously proportioned master bedroom has double aspect windows overlooking the rear garden and enjoys fine views over rolling countryside beyond. 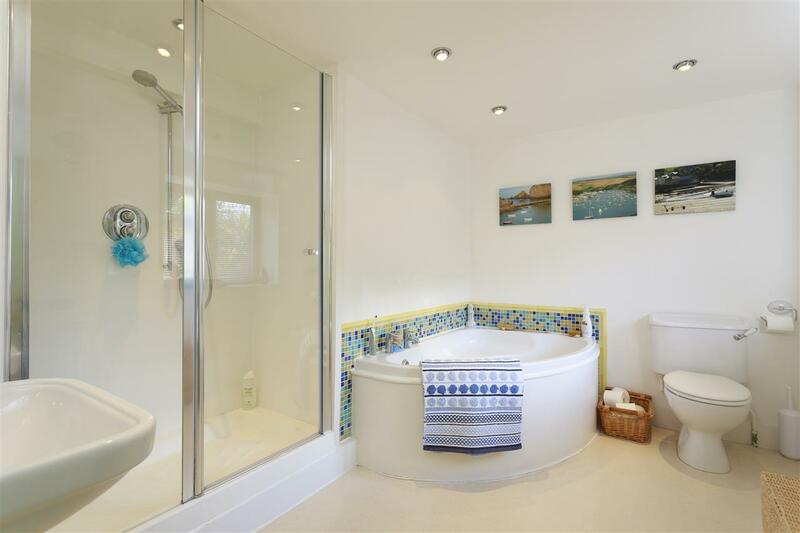 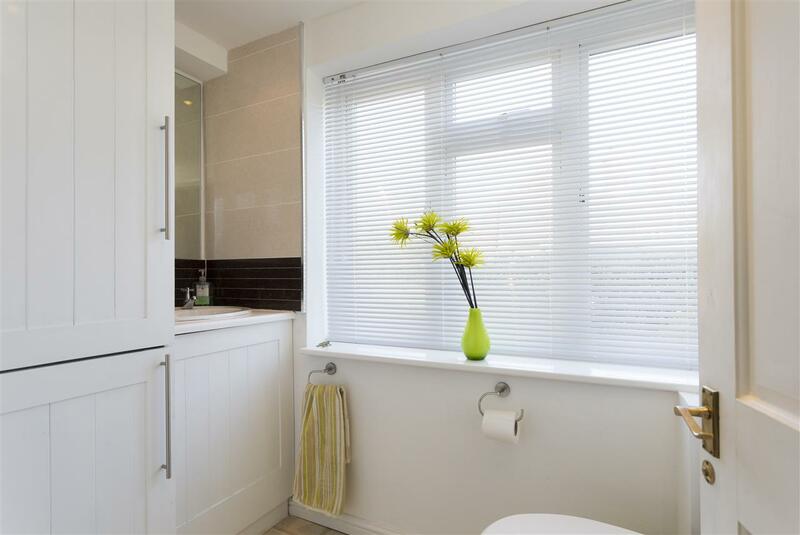 The large en suite bathroom has a modern white suite including a corner bath, a double size shower cubical, wash basin and w.c. 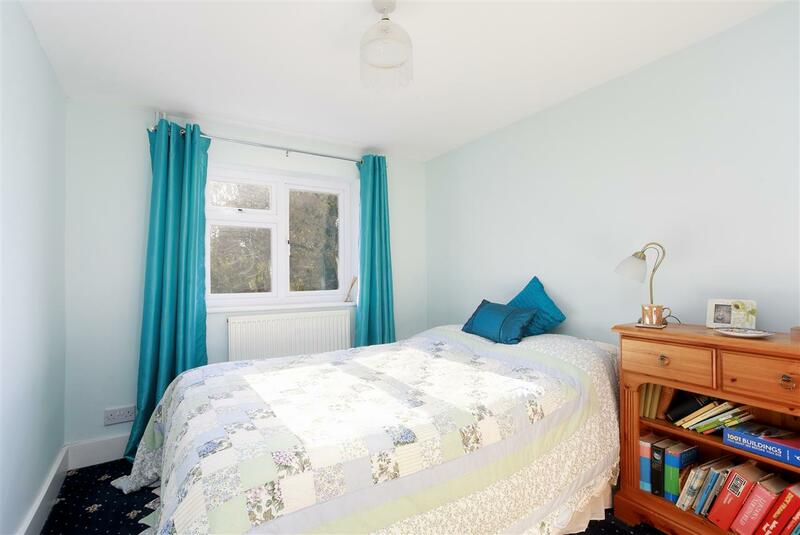 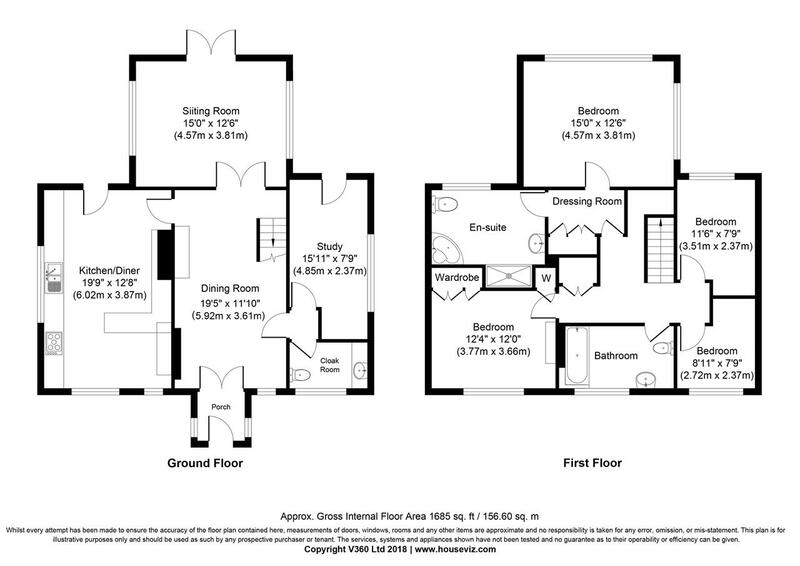 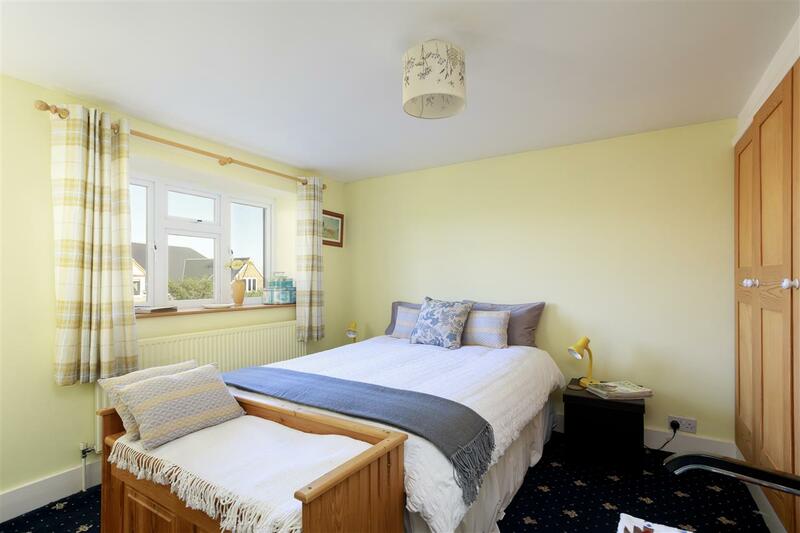 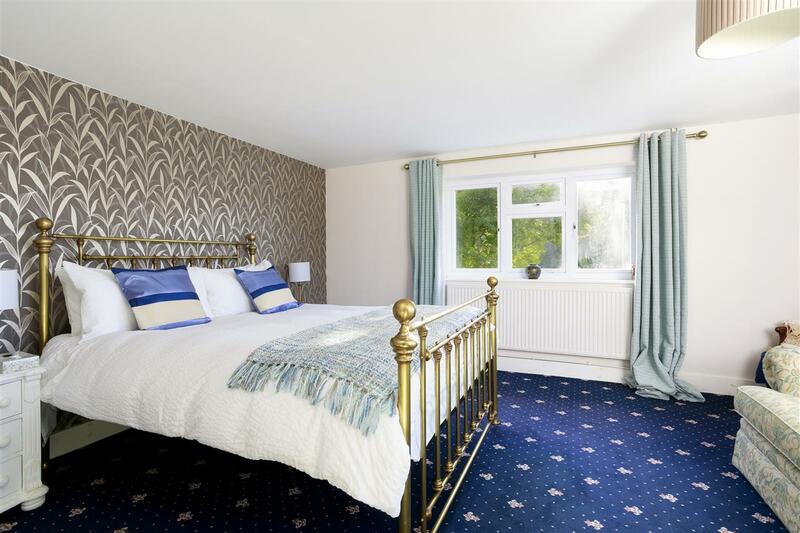 There are two further double bedrooms (one with a fireplace and built in wardrobe), and a further single bedroom. 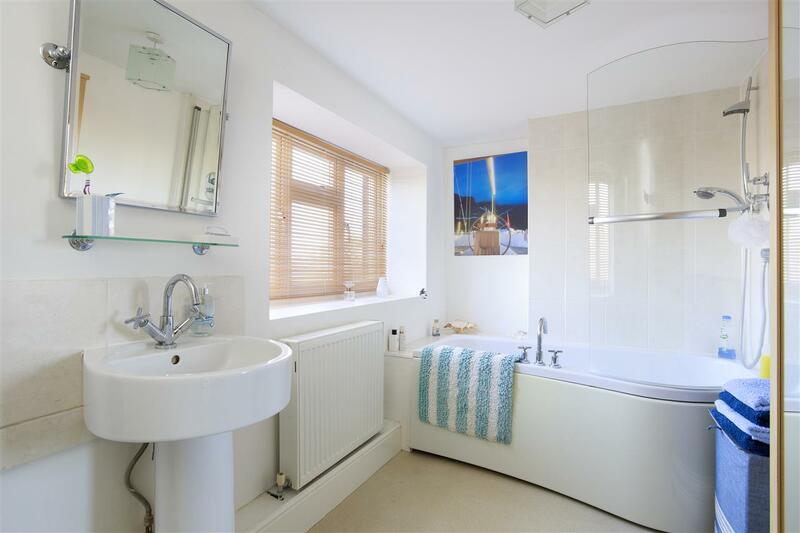 The family bathroom has is also well appointed, with a modern white suite. 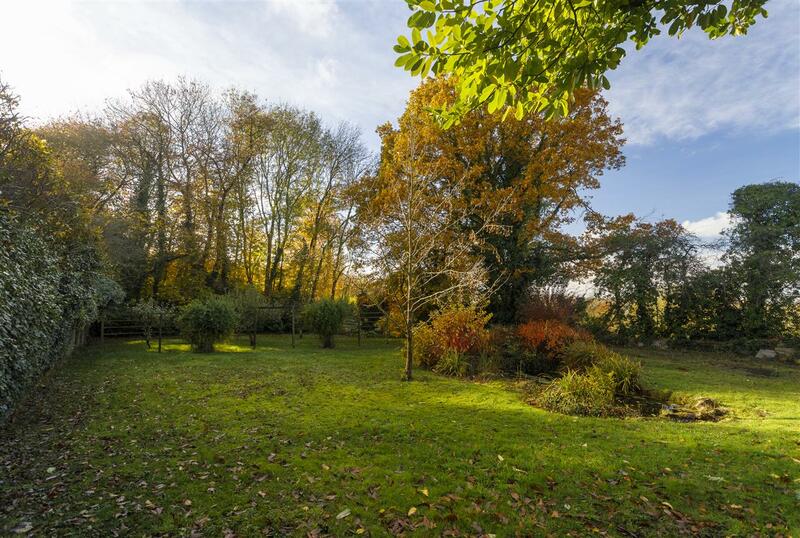 Shrimpton House is set within a generous and extremely secluded plot of approximately a third of an acre. 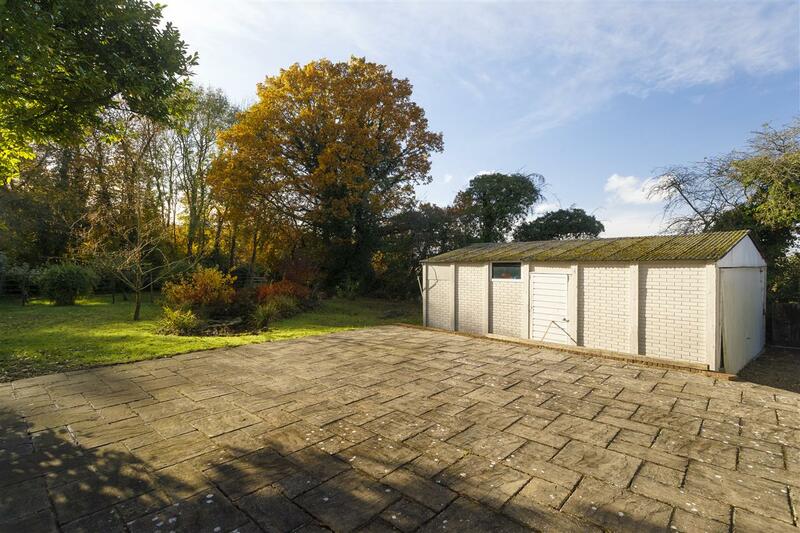 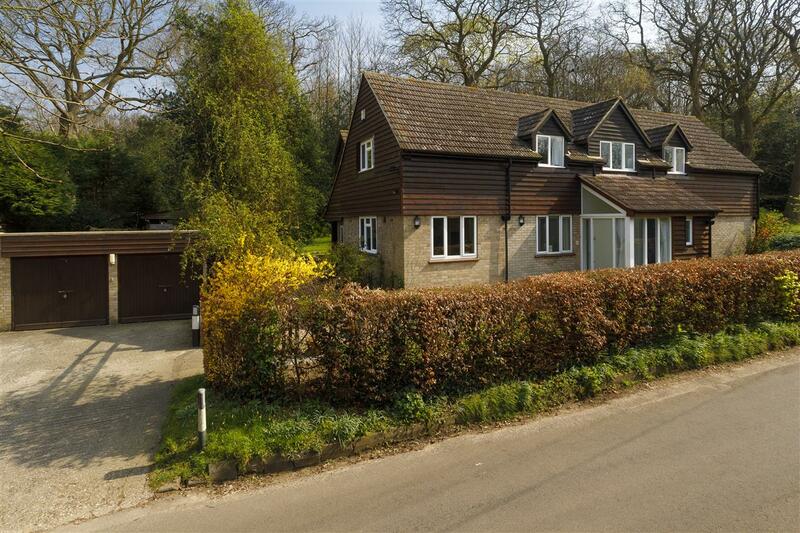 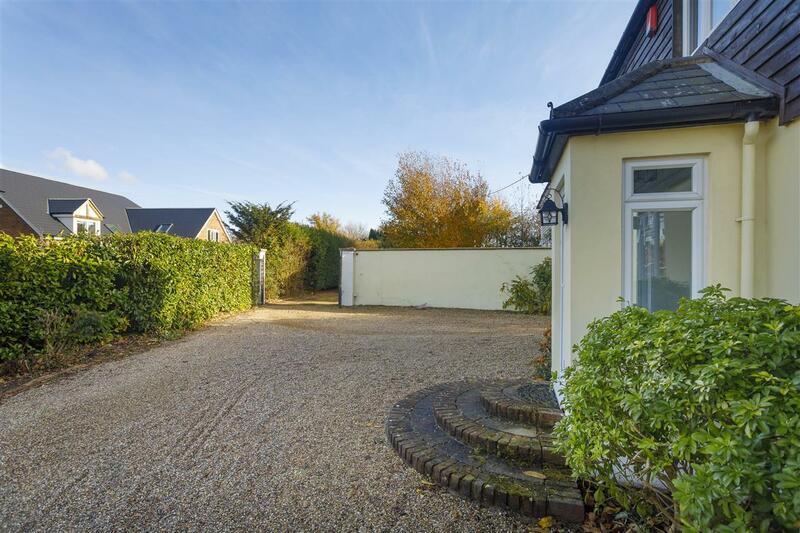 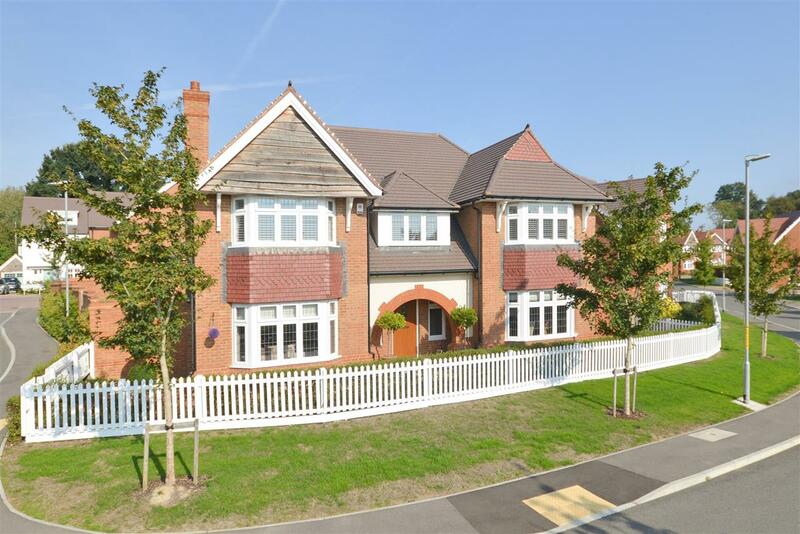 It is approached via a set of tall wrought iron double gates, which open onto a sweeping gravel drive which provides ample parking for several cars and leads around the side to a detached double garage. 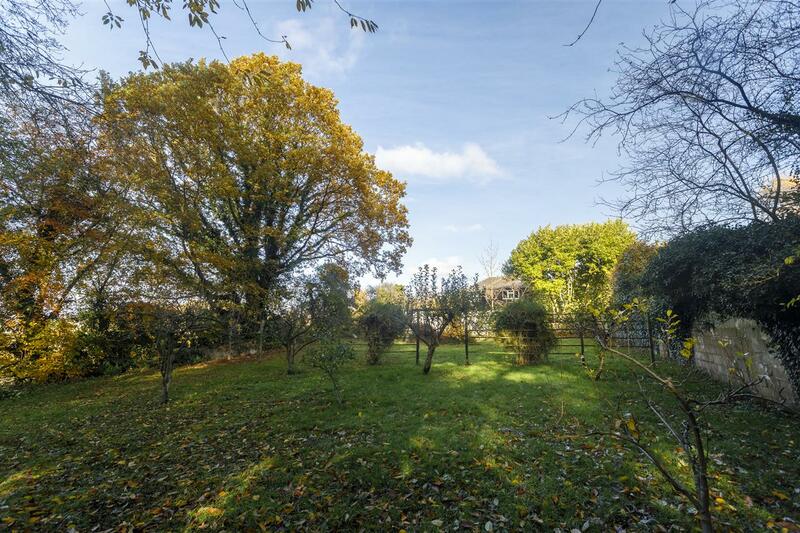 Immediately adjacent to the house, there is a vast paved patio area, ideal for entertaining. 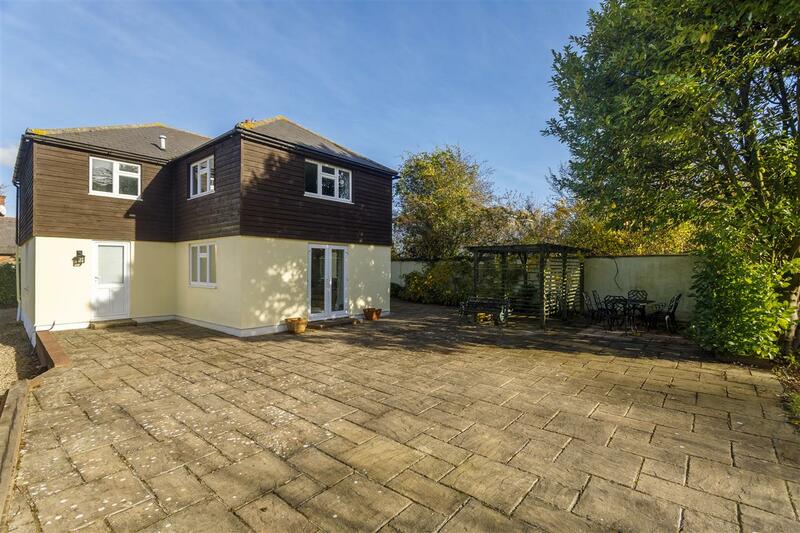 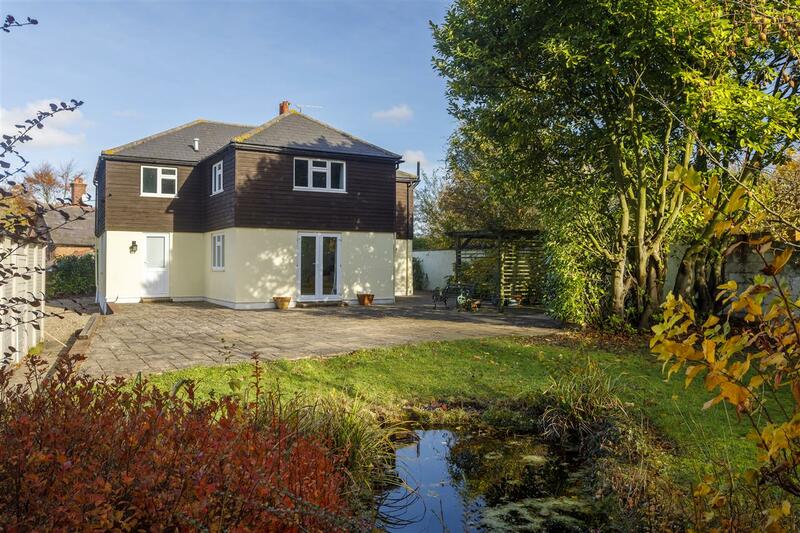 The remainder of the garden is mainly laid to lawn and planted with a wide variety of mature trees and shrubs which provide a beautiful natural backdrop to this charming family home. 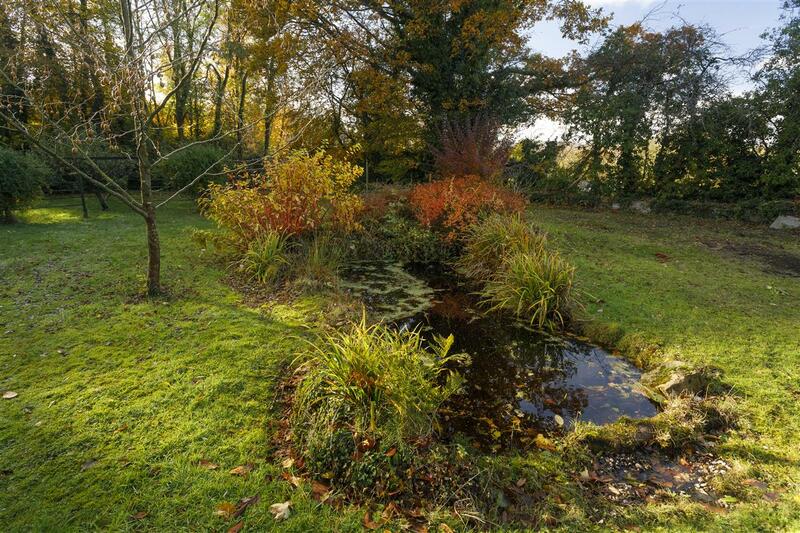 Towards the rear of the plot there is a small fruit orchard and an ornamental pond. 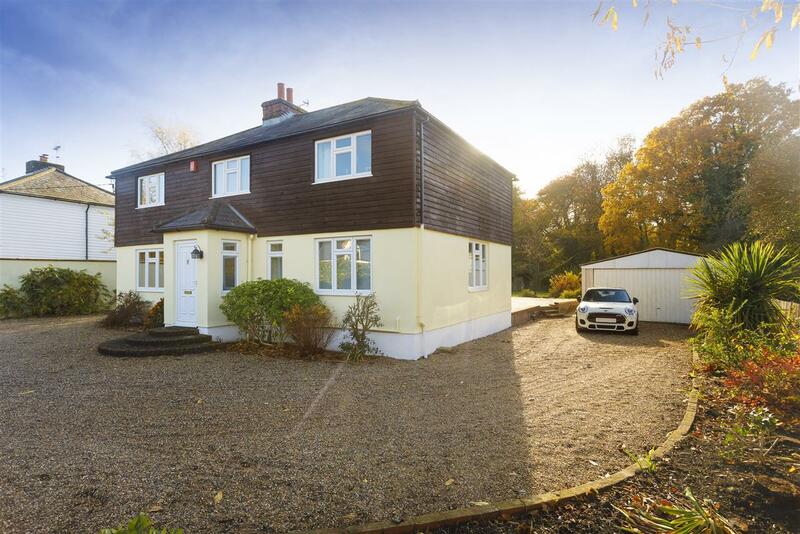 Shrimpton House is located at the end of a long gravel drive, in between Shrimpton Close and New Forest Lane, off the Selling Road, and on the outskirts of Old Wives Lees. 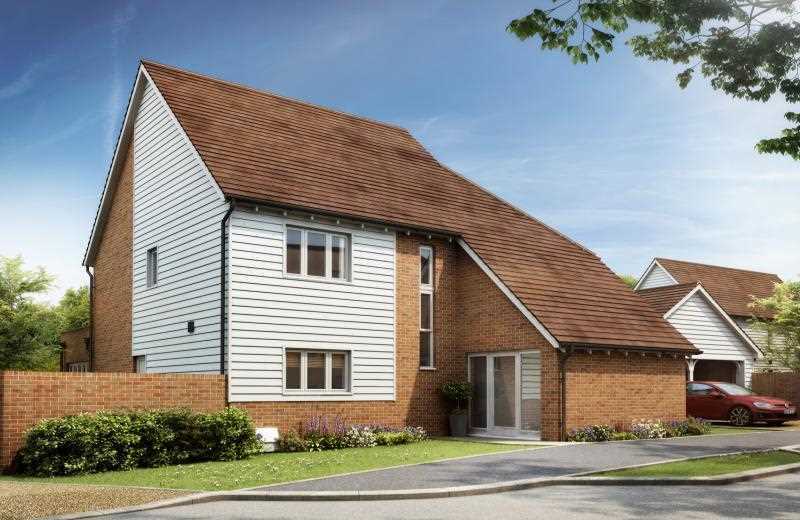 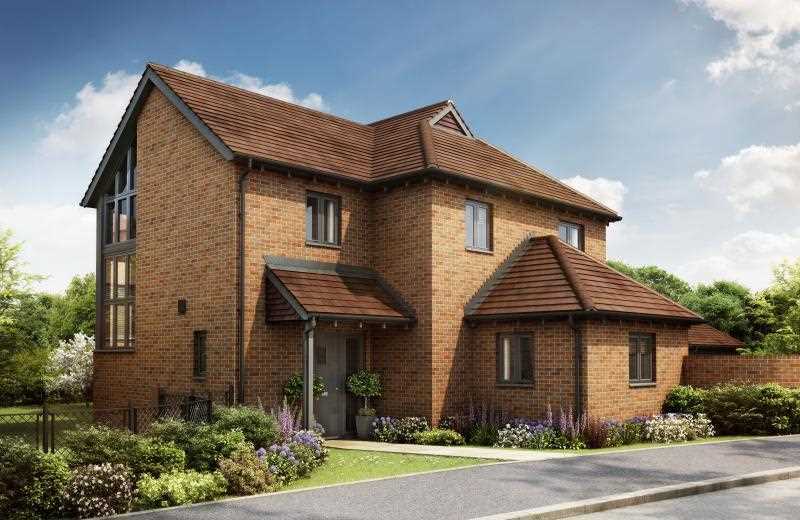 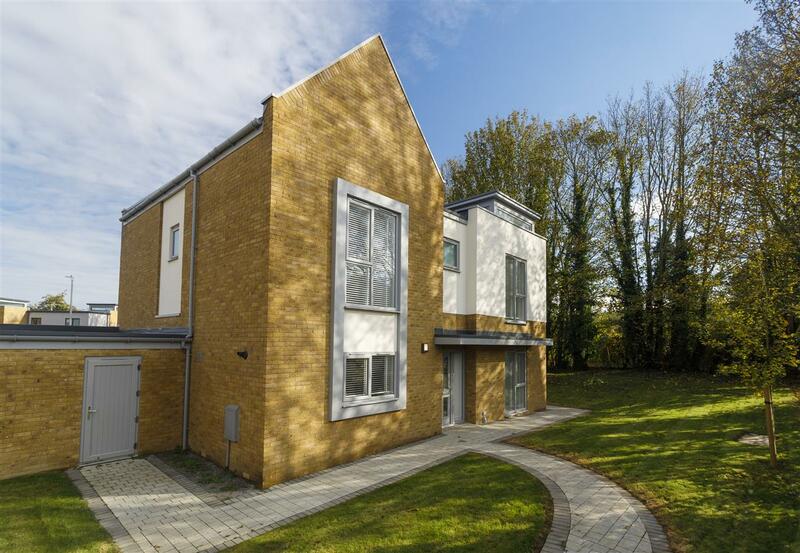 High on the North Downs (an area of outstanding natural beauty), it is conveniently situated with a choice of rail links to London via nearby Selling, Chilham, Faversham or Ashford International stations (both the latter offering high speed services to the centre of London). 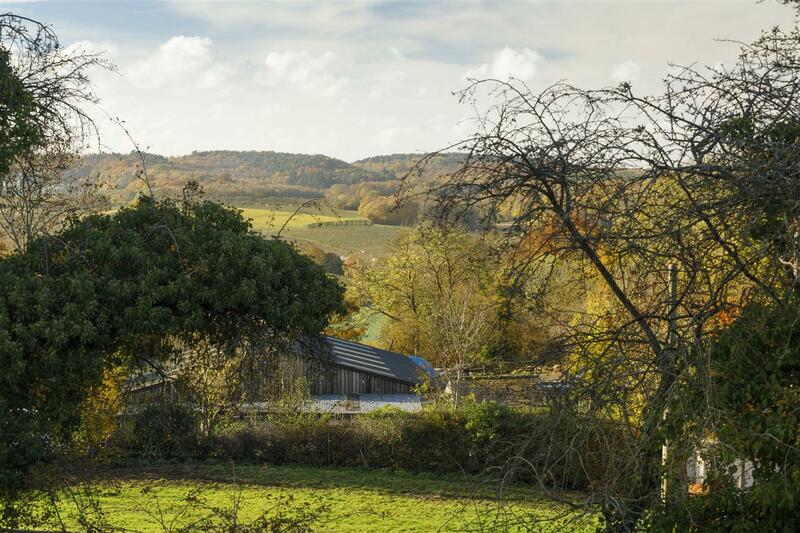 The village is surrounded by orchards, hop gardens and arable land, and from its higher elevations it has beautiful views over hills, woodland and the North Downs. 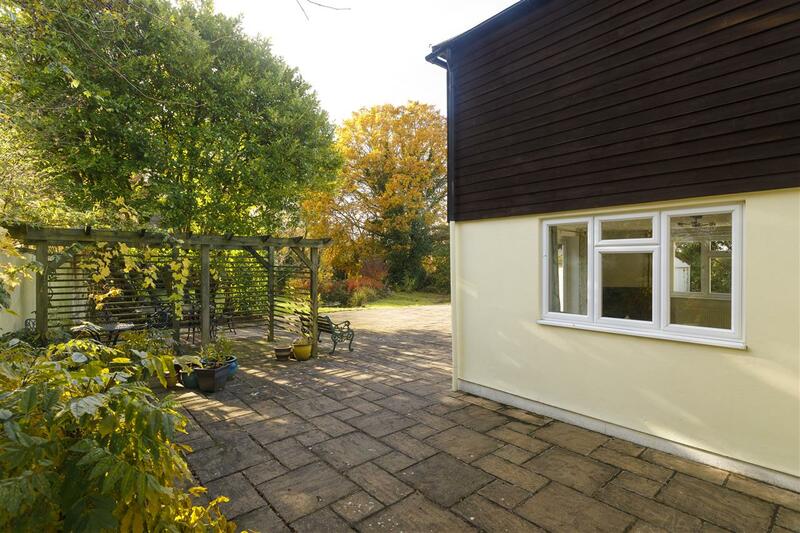 The village has a good community spirit and has a range of social and recreational activities and a preschool in the refurbished village hall. 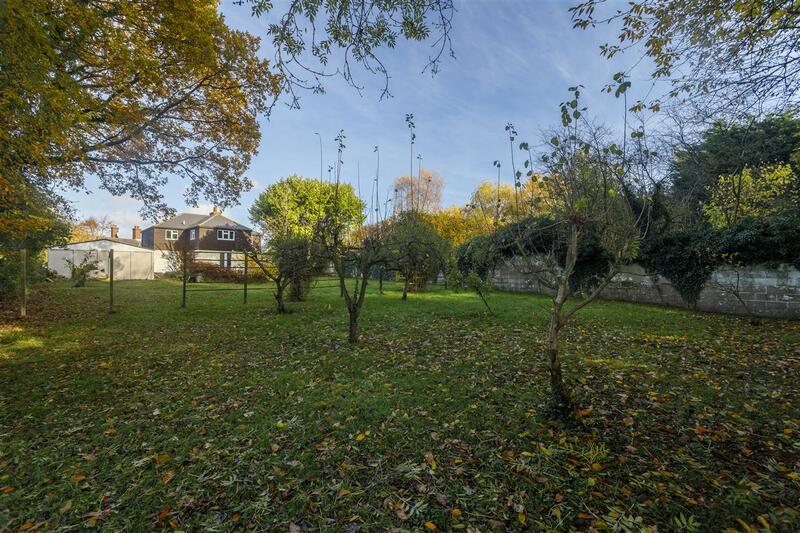 The village is also served by a village green and a large playing field with a football pitch and basketball court. 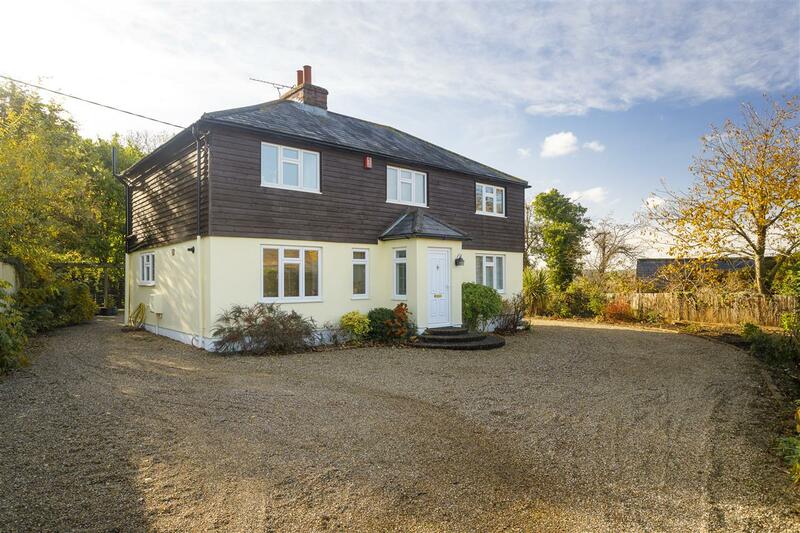 Primary schools can be found at nearby Chilham, Selling and Sheldwich and a choice of secondary schools at Ashford, Canterbury and Faversham. 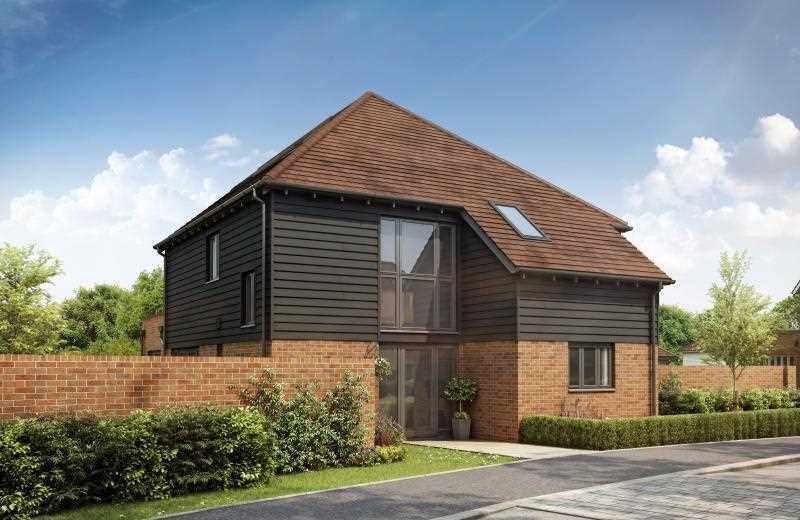 The village is well placed for access onto the A2/M2 and M20 motorways and for cross channel services. 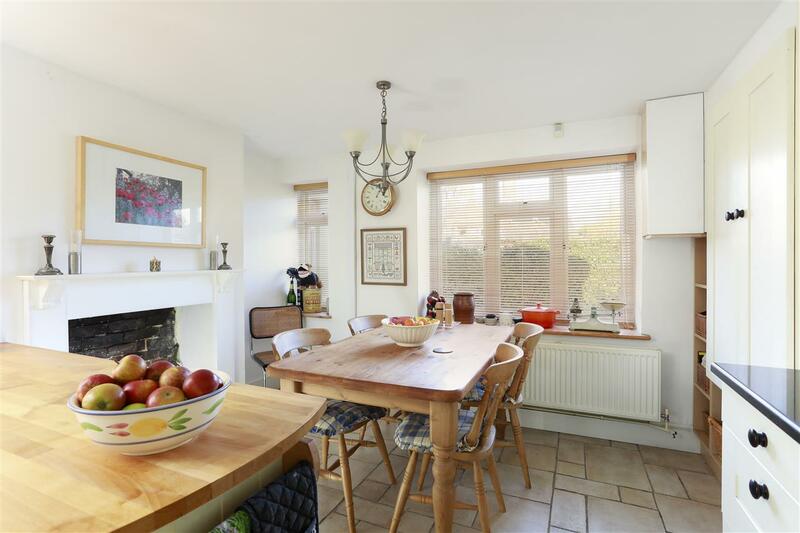 The local bus service links Old Wives Lees with Chilham and Canterbury and a school bus service runs to Ashford.